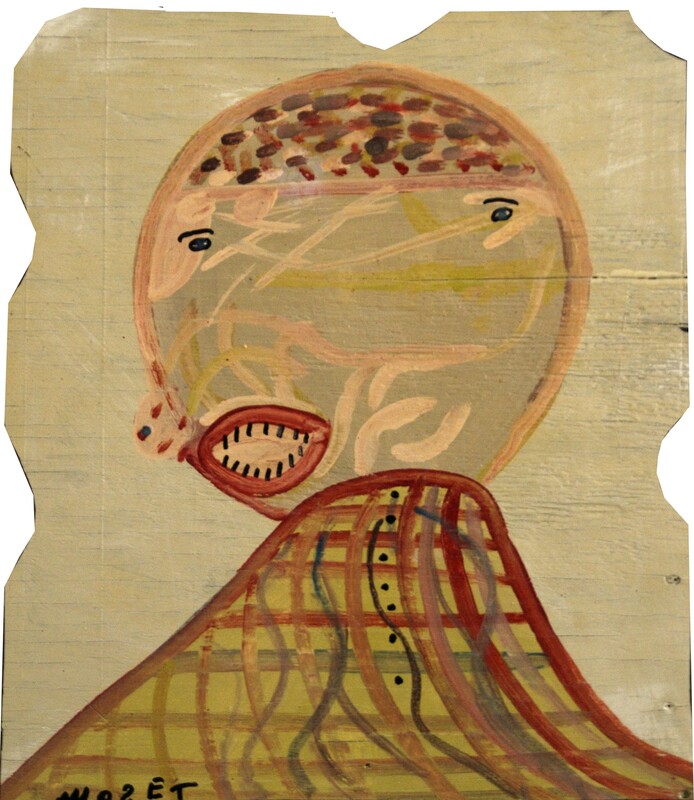 “Tell ’em that it’s Human Nature: An Exhibition of Outsider Art” pairs the art of Phillip March Jones and selected artists from the Latitudes Art Center in Lexington Kentucky with work by Mose Tolliver, Hawkins Bolden, and Charles Williams. In addition to paining and shooting photographs, Phillip March Jones has devoted his time to Latitudes as a volunteer working with the artists in their studio program for adults with developmental disabilities and variously with other artists across Kentucky and rural Alabama. The group of artists in the show is organized around this one example of volunteering and social work as actions capable of unifying an expanding field of contemporary untrained artists. In a more basic sense the exhibition considers art as a way for very different people to relate. The term “untrained” describes artists from a range of economic backgrounds, abilities, all races, and both genders and becomes mysteriously foggy amidst such broad inclusion since the only actual shared qualification is the absence of academic art training. Which is not to say that these artists are uneducated, though some have had absolutely no schooling, simply that any institutional experience came from outside of the school of fine arts. Taxonomy aside, the human impulse to create remains interesting, poignant and essentially indescribable.